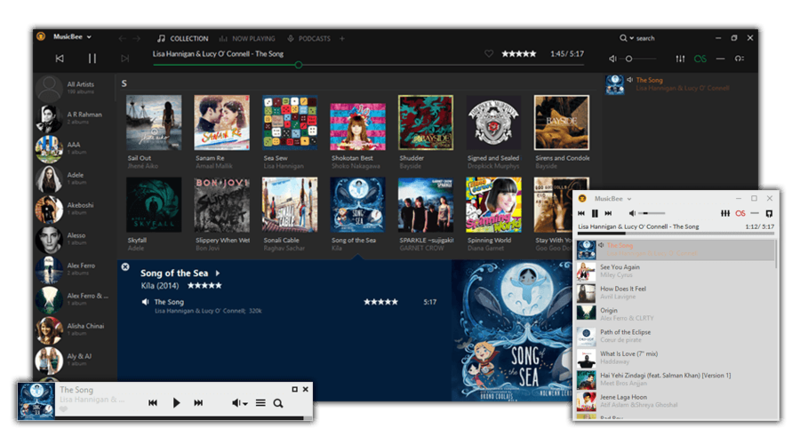 MusicBee is a brilliant free music player and organizer to help you enjoy your music collection – no matter how huge and sprawling. MusicBee searches your PC for music and enables you to add tracks from iTunes or Windows Media Player. Once everything has been added to your MusicBee library, the app's intelligent tagging system makes it easy to complete missing metadata using industry-standard formats, locate album art and find lyrics, which are displayed while a song plays. MusicBee is designed to make the most of your PC's hardware, with support for high-end soundcards and 5.1 surround sound. MusicBee also supports streaming, is compatible with Last.fm and SoundCloud, and is a great choice for enjoying your favorite podcasts.